Disheartened and tired, Samantha Warren returns to Vermont during the winter break. Her passion for history rekindles after finding an old smuggler's chest hidden in her grandparents' attic. 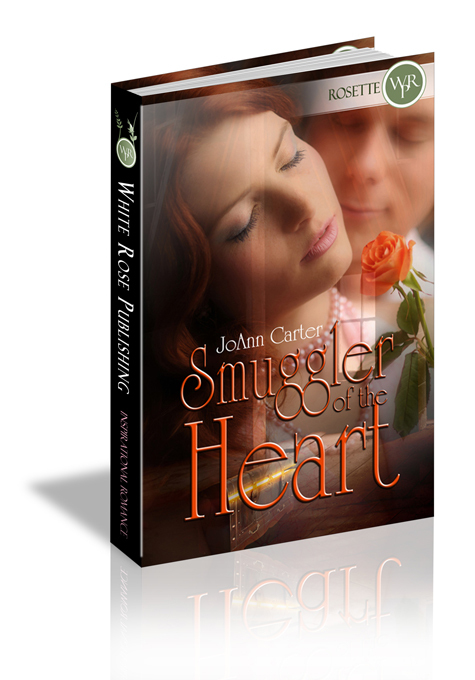 Will she be able to return to New Jersey without her heart being smuggled like the chest once was? Or is it already too late? Samantha gingerly reached for the newfound treasure. A rush of adrenaline coursed through her body, and her nerves jingled the instant her fingers caressed the soft, worn wood. Just as she knew her own name, she knew there was something special about the small chest. Gram might be eighty-something, but she didn’t miss much. She knew Samantha’s passion for history and antiques and how long it had been since she had visited the attic of her grandparents’ beloved 1820s Victorian home. For that matter, how long since she’d been in Vermont, period. Samantha fiddled with the latch on the chest. Her finger brushed against a small metal protrusion on the side of the lock. In a sudden, swift motion, the latch sprung open and the lid lifted a quarter of an inch, almost as if the chest wanted to share its secrets and stories with her. She lifted it further and peered inside. The musty smell of aged wood and paper greeted her like a familiar friend she hadn’t seen for a long, long time. Gram didn’t need to be concerned about her. She was a strong independent woman—at least she liked to think she was. Granted, she had felt a little bit blue as of late, but didn’t everyone experience those feelings every now and then in life? “You remember the history?” Gram asked with obvious delight. Samantha smiled at her gram’s joy, which must have been mirrored in her own eyes. History...her passion. But recently, without her even realizing it until this moment, the joy and excitement she usually felt had fallen flat. She still enjoyed her teaching position at a high school in New Jersey, but her enthusiasm over the last several years had waned. How had that impacted her students? She shook her head, trying to dispel that train of thought. Perhaps coming back to Vermont for winter break was what she needed—at least she hoped so. Was it her imagination, or was Gram fighting a smile? Samantha rolled her eyes and bit back the retort, Now who’s being stubborn?